The rules of engagement in marriage are there is no greater law in which God has commanded of than in Ephesians 5: 21-33 Which tells us as wives that we must submit to our own husband, and that he is the head of the wife. When the marriage is emptying out of the foundation that it was based on this is when the enemy starts to attack the mindset of your husband, and you might not at first see it this way because there may have been some previous tension between the two of you; so you just might brush it off as that, and may not give it a second thought. But keep in mind that distraction is what the enemy want to keep in the wake of the unmeasurable distance that has awoken in your marriage. you are going through in your marriage is a mistake, this distance season is USA to compel you back in alignment with God, and in alignment of your role as a wife. God might have spoken to your heart about no being so unintentional where your husband is concern, and you might have ignored the warning signs that God was making you aware of. this season of distance may teach you if your willing to let God be the driver is. 1. Nothing that has happened is going to remain the same in your marriage. 2. Nothing is going to hinder the restoration in your marriage. building is a very key point when things are aligning themselves back to where God is bringing forth the restoration process, and it’s very important that you make an impactful push in correction direction where your marriage is concern. Now is not the time to lack in what God is instructing you to do as a wife. Here are somethings to think on concerning the romance! 1. Has the romance in your marriage become stale? 2. Has the lack of intimacy become nonexistent? 3. Has the lack of connect kept you from pleasing him? If you have answered the questions above honestly and have found yourself in the deepest of sorrows when it comes to not pleasing you husband, and allowing the romance to die on your end as a wife don’t beat yourself up. Get closer to your husband by submitting yourself fully to the commands of God towards your marriage be gentle to his needs by being attentive in listening to him earnestly while he is speaking to you. Make a declaration as a wife that you will not allow social media, phone calls, or if you are a blogger like I am interfere in the alone time that you desire to spend with your husband. The battle that you are facing is not yours to fight it’s the Lords. 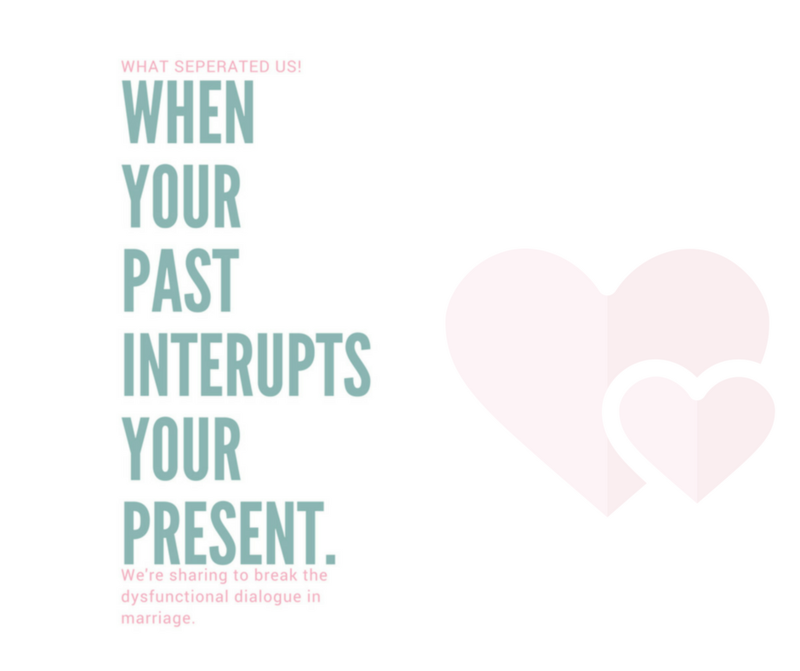 The time apart in your marriage is not what you should be concentrating on. The sleepiness nights you are experiencing shouldn’t be focused on thinking of your husband you should be up working on yourself. The times that you do not hear from your husband do not charge it to his heart. Focus on the beauty of becoming a better woman for yourself, and for your marriage. Rewinding forward to June when my husband separated his life from mine while we were still residing in the same home together. This left me feeling sick to my stomach, and I was calling out to God like I’d never had before. I did not understand why my marriage was turning out the way it was. I mean really? After almost five year of marriage and endless I love yous I would think that a love so strong could move through any storm that came our way. But the thing was God had to remove my husband out of my way because I was not giving God my total yes, and I had placed my marriage above God. The warning came, about two years before this disaster happened in my marriage and i laughed because I was not ready to be fully obedient to God. From the month of June- mid October my got deep into God, and I reflected on the mistakes I made in my walk with God. I even captured moments that took me to a place of crying for hours of being in the presents of God. I never understood until 2017 how fully important is meant to stay close to God in the good time, and as well as the bad time. When I begin to see the hand of God moving in my marriage as my husband would come and spend as much as little time as he desired god was telling me he was working it out for my good. Now let me mention this I have wrote about how my marriage fell apart and you can read it here and here, and I will update you all on part three shortly this year.